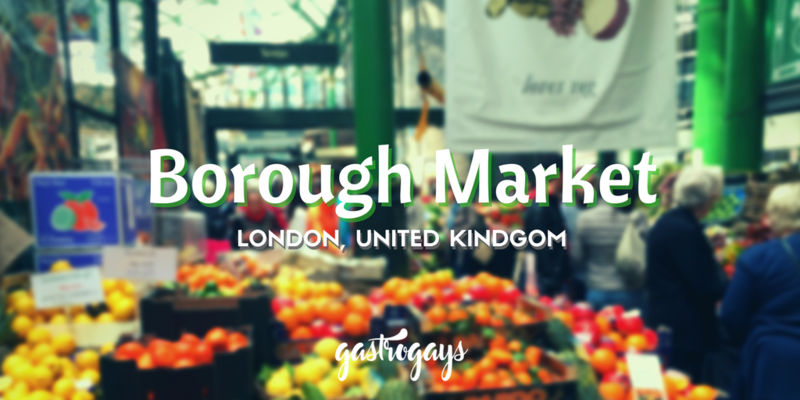 “Borough Market”, two words we’ll utter instantly, without fail, when asked for tips on a London visit. It’s top of the list, every single time. 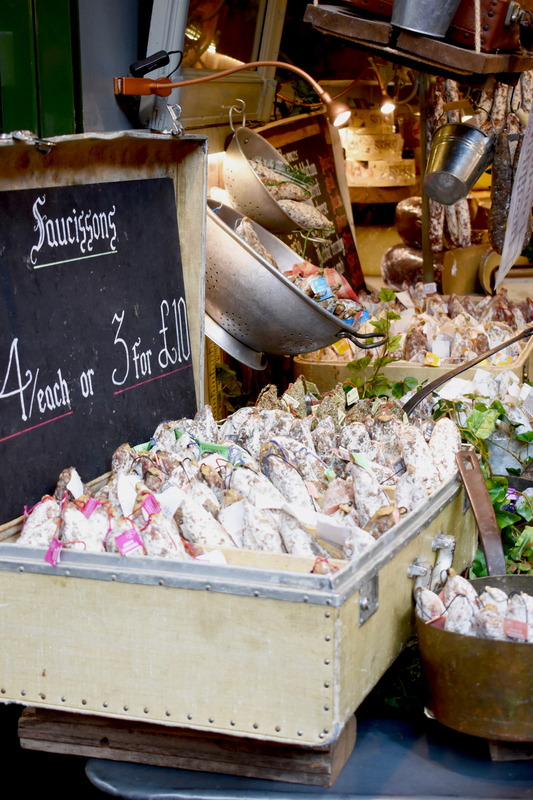 It’s a tourist destination for so many reasons and naturally it’s right up there on our London Bucket List post, but the beauty is that for Londoners Borough Market doubles up as their local grocer, butcher, baker and candlestick maker (we may need to check up on that one!) 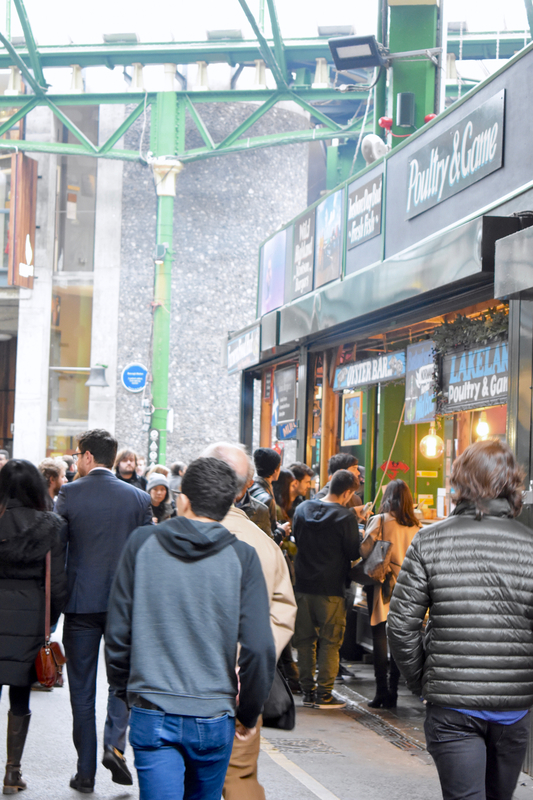 Heck, for hoards of people lucky enough to work close by it’s the lunch spot dreams are made of with street food aplenty and a buzzy atmosphere from midday ’til around 3pm daily. 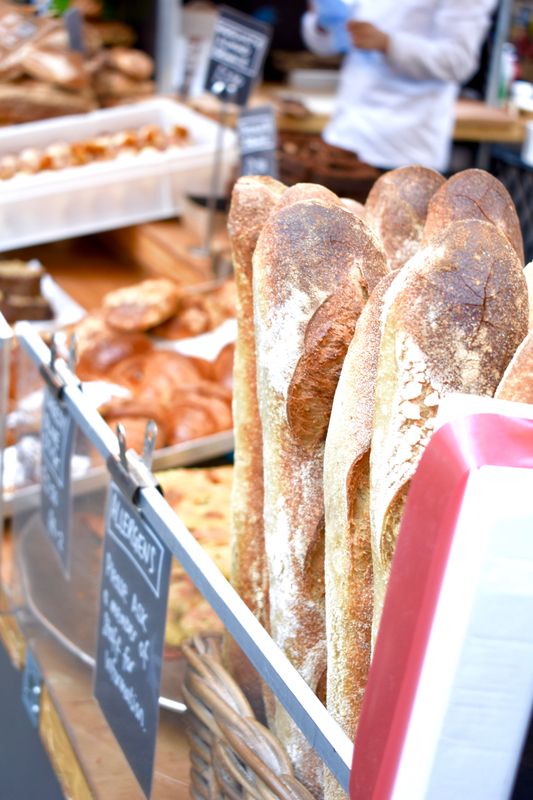 Here’s why we love Borough Market. We didn’t grow up with these kind of markets in our little towns in Ireland, nor did we have one in the capital, Dublin. Cork’s English Market or Belfast’s St. George’s Market would have been the only two places like Borough Market on the island of Ireland, so Borough was an anomaly to us when we first arrived. Standing the test of time for about a millennium is no mean feat and Borough Market is impressively modern and cutting edge for its thousand year-old age. 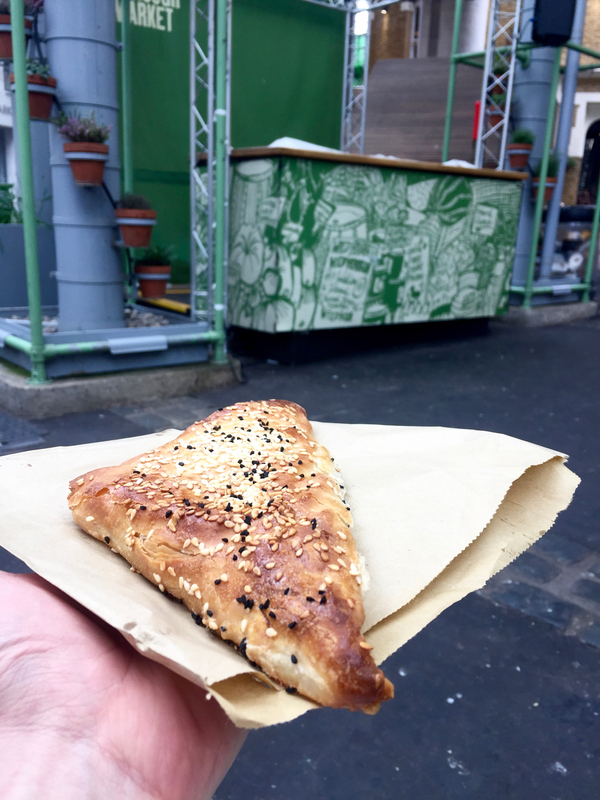 Began as a bustle of traders selling grains, fruit and veg closer to London Bridge station, the market morphed and moved from the 13th century onwards towards the prime spot we know and love today along the Southbank beside London Bridge itself. 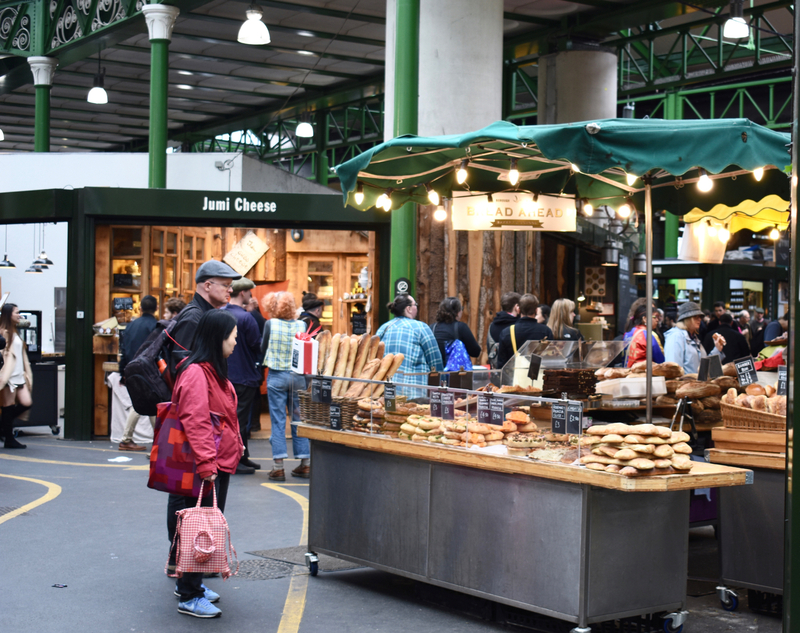 Under train lines, stalls woven between giant green arches under a copper and metal canopy with a garden-like seating area and bars spilling out onto the streets nearby, there’s something so ‘London’ about Borough Market. It really reflects London’s contemporary and convivial love of food. Nestled into this bustling precinct it’s structure is both stand-out and secluded as the hive of activity surrounding it is what really makes this place shine. 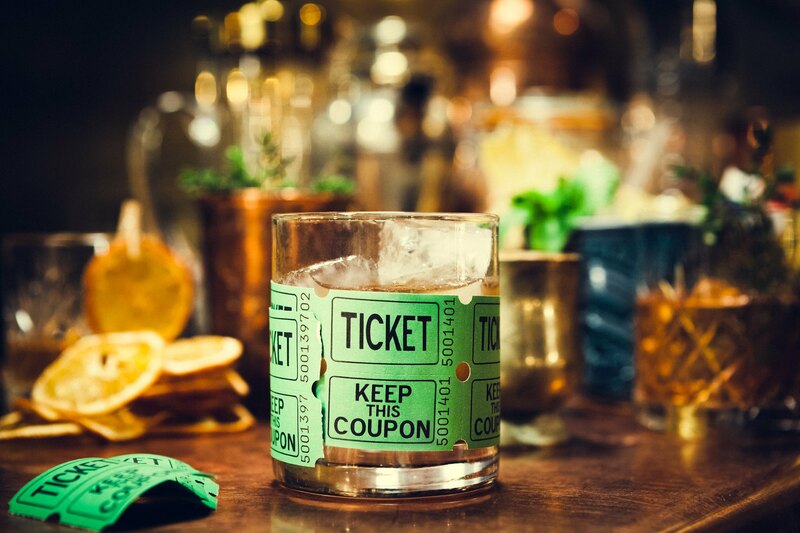 A melange of producers, sellers, restaurants, cafes, bars and shops entirely reflect the global melting pot and culinary capital this city truly is. 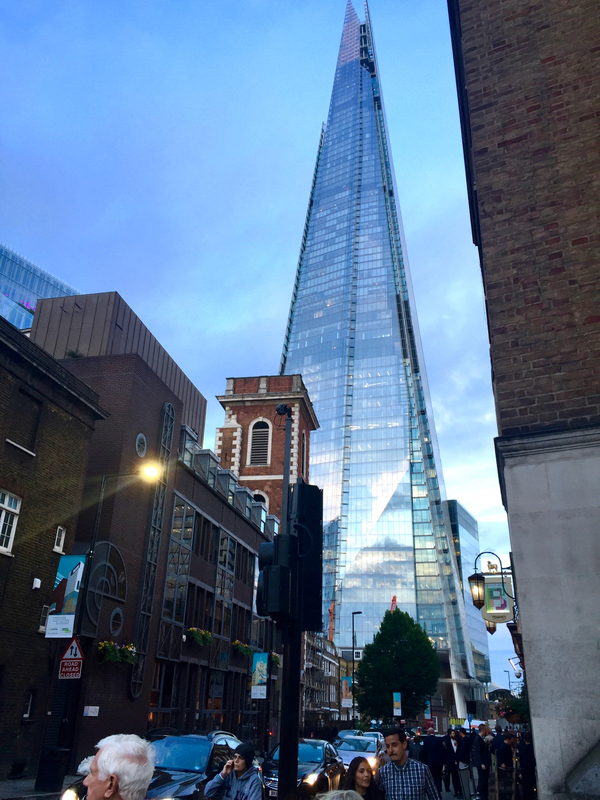 Set in the shadow of the Shard – the oft-disputed symbol of modern London – we were so lucky enough to call this a local for the bulk of our time in London, based just 15 minutes away in Peckham. Of course British should sit at the forefront of the UK’s premier food market and there’s exceptional British produce in abundance, from incredible Ginger Pig meat (it’s the site of their very first London location) to a selection of the city’s freshest seafood and shellfish, as well as organic, rare breed meat and game from Rhug Estate hailing from rural Denbigshire. Cheese comes from all over the UK, from Alsop & Walker in East Sussex to Bath Soft Cheese Co. (of which production dates back over 200 years) to the Welsh classic Gorwydd Caerphilly and Kent-based Ellie’s Dairy, specialising in a selection of goat’s cheeses, raw goat milk and even goat meat. For more dairy, see Hook & Son for a selection of raw British dairy produce including raw milk, raw cream, raw butter and raw ghee. Then there’s Wine Pantry where you can taste and buy from a selection of over 20 English vineyards. Also a wholesaler, they host regular events here to try the wines with cured meats, cheeses and other flavours. The Local Honey Man offers a selection of honey farmed in both East London and Yorkshire, which is well worth a taste too. For sweet treats, Comptoir Gourmand always has delicate and exceptional French-style patisserie whilst if donuts are the order of the day, Bread Ahead is definitely your best bet and we adore their sourdough bread, too – all of which is baked right there in the middle of the market (take a peek at the bakery, you can book in for one of their classes too). 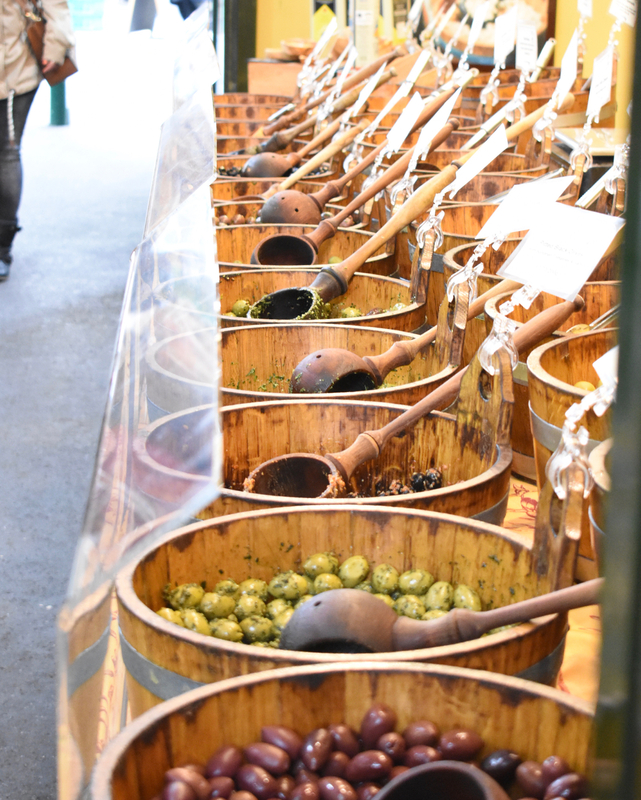 Though visited by tourists the world over and boasting the best of the UK and beyond, local producers from London’s fine city also punctuate the UK’s most prestigious market. Image (c) Blackwoods Cheese Co.
You’ll find Blackwoods Cheese Co from Brockley, the freshest fruit and vegetables (lots organic, too) from Kent’s Chegworth Valley, Kappacasein from Bermondsey and Cannon & Cannon charcuterie whose base is mere streets away from the market, not to mention lots of local craft beers at Utobeer‘s ‘Cage’. From Taste Croatia chutneys and oils to French comté and truffles, Asian spices from Spice Mountain to the world of Spanish gastronomy at Brindisa, Borough brings together a globally-traversing line-up of unique flavours, products and producers. 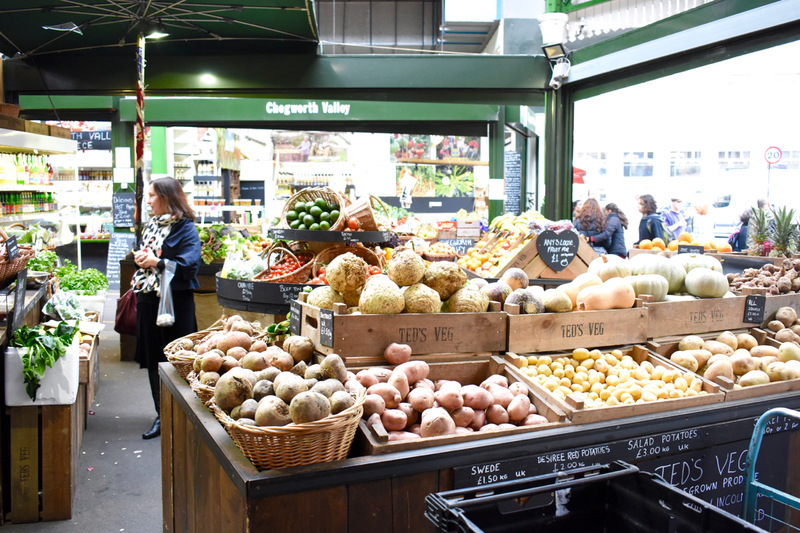 Often Borough Market is just the most epic place for sourcing if you have a list of specialist ingredients needed for a recipe or if you just want to splurge on some really exceptional produce. Borough Wines also deserve a bit shout out for sourcing bottles from around the globe compiling a keen selection of exceptional grapes, and also have special spritz coolers during summer which are *so* good! 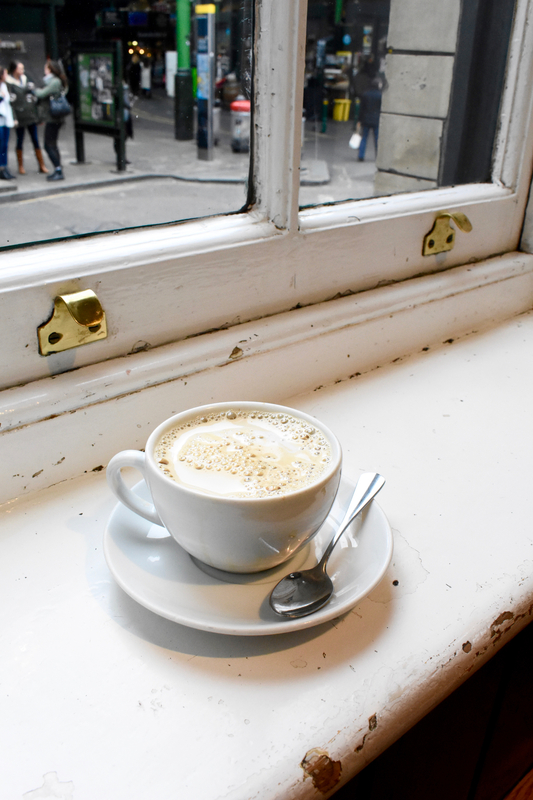 We’re absolute flat white fiends and we’ve scoured London for our perfect caffeine fix for years. We’re unanimous in our adoration for Monmouth and it’s where we keep coming back to. Their Borough branch is *constantly* busy and there’s always a queue whilst you’ll be resigned to take-away if you can’t nab one of the communal seats! Not only exceptionally-made coffees, there’s some sweet treats available too and you can chat with the team to buy your preferred beans too. 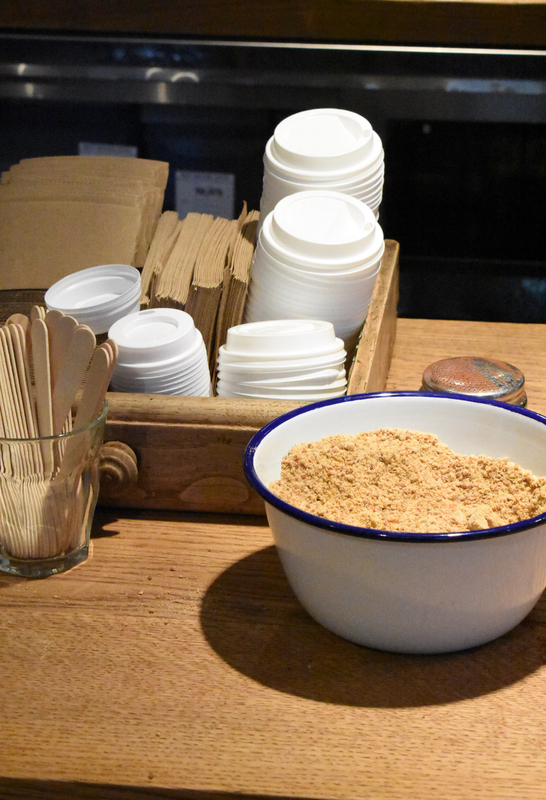 Monmouth is London’s best coffee, if you ask us! If it’s too busy, find the Change Please van which serves great coffee as well as being a social enterprise empowering homeless and disadvantaged people to up-skill and train as baristas and other service industry roles. 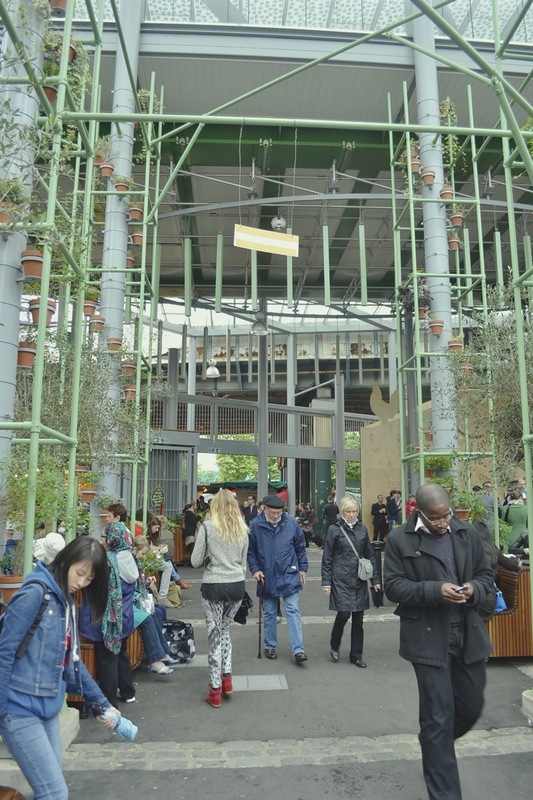 Borough’s a fabulous shout for lunch or a quick bite as street food traders populate the place every day it’s open. 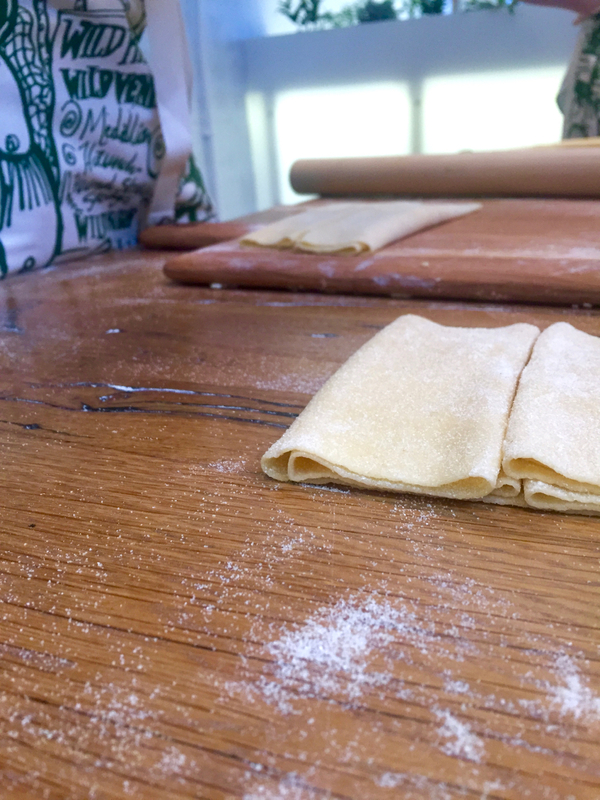 Some of our favourites include freshly-made pasta dishes from La Tua Pasta, Middle Eastern-influenced kid goat dishes from Gourmet Goat and hummus and boureka at Balkan Bites who are all about the melting pot cuisine where the Adriatic, Eastern Europe and Middle East meet. For something a little more exotic, we’ve enjoyed Gujarati Rasoi, who specialise vegetarian Gujarat dishes from India, and delicious quickly-cooked Indian street food dishes from Horn OK Please. Or go for something traditional with a twist from the likes of Scotchtails (pimped scotch eggs) or Hog Roast (Tuscan porchetta inspired whole hog served in rolls with apple sauce, rocket and crackling). It’s not just a market filled with traders though, it’s gloriously appointed with bricks and mortar restaurants. Perched above the market overlooking proceedings right in the heart of the bustle is Roast. 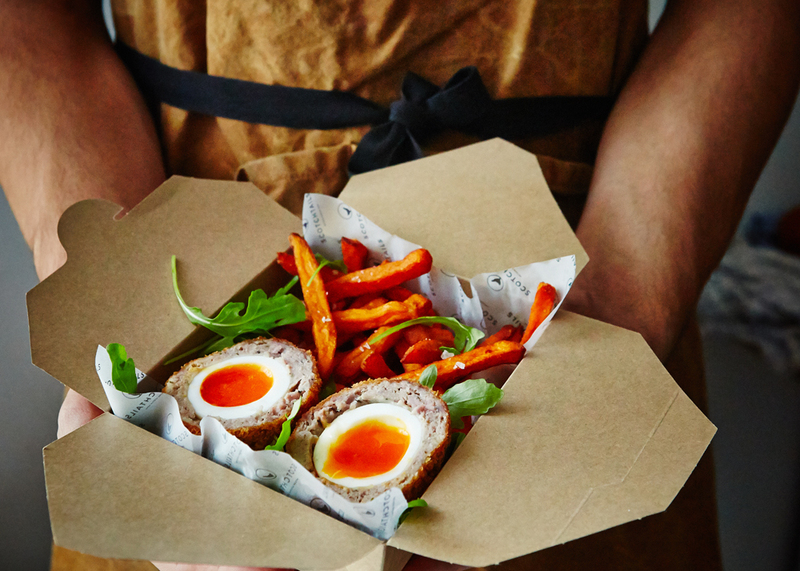 Self described as “deliciously British”, there’s no prizes for guessing what’s the speciality here? Amongst the newest is Padella. Affordable, traditional and thrifty Italian dishes come fired out furiously of the tiny kitchen alongside strong Italian spirits at this two-floor no-bookings restaurant. Service is fast-paced and efficient and it’s always delicious, so the fanfare is justified if you can stomach the 30-person deep queue that’s a regular occurrence outside. Lunchtime ✅. Hungry ✅. No queue outside @padella_pasta ✅. We've been long wanting to visit here, but wanted to wait on the hype to die down, just so your IG feed isn't full of the same images. Ordered the beef shin parpadelle which was spot on. Also ordered the Cacio e Pepe which we expected to be the star but the beef was so good! Washed down with a sneaky glass of Italian wine each… Happy Tuesday all! 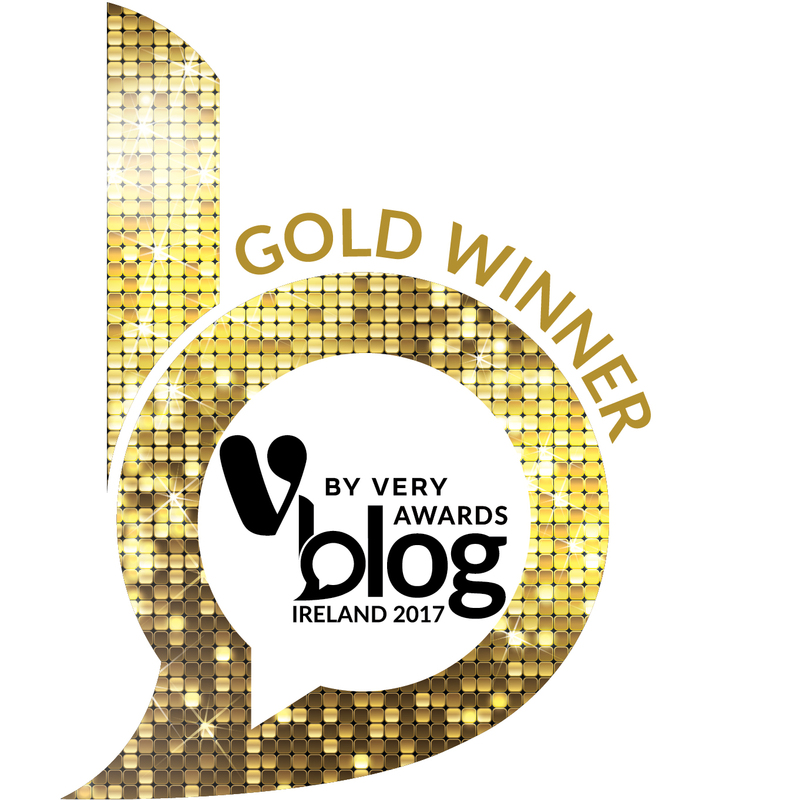 👍 Exceptional value too! Our suggestion: get there just as they open for lunch to avoid queueing. 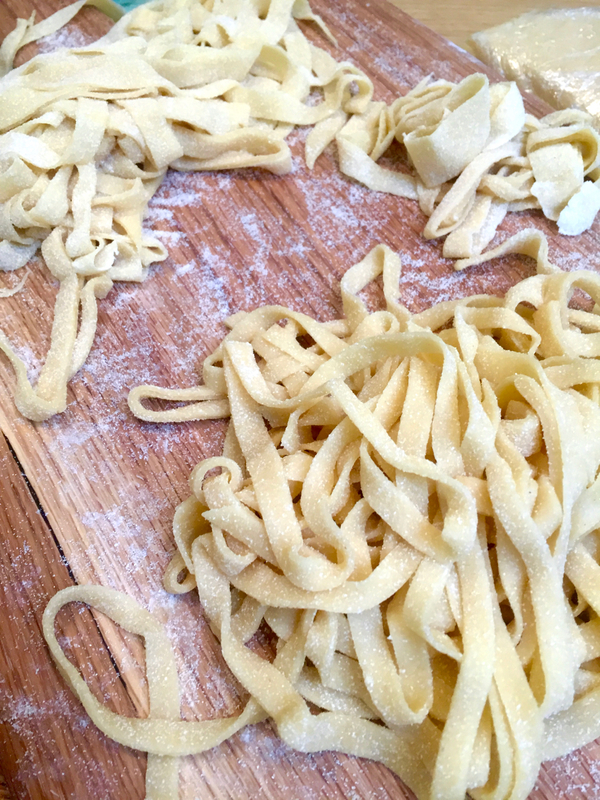 Burrata followed by a slow-cooked meat pappardelle or their signature cacio e pepe is always a good shout! 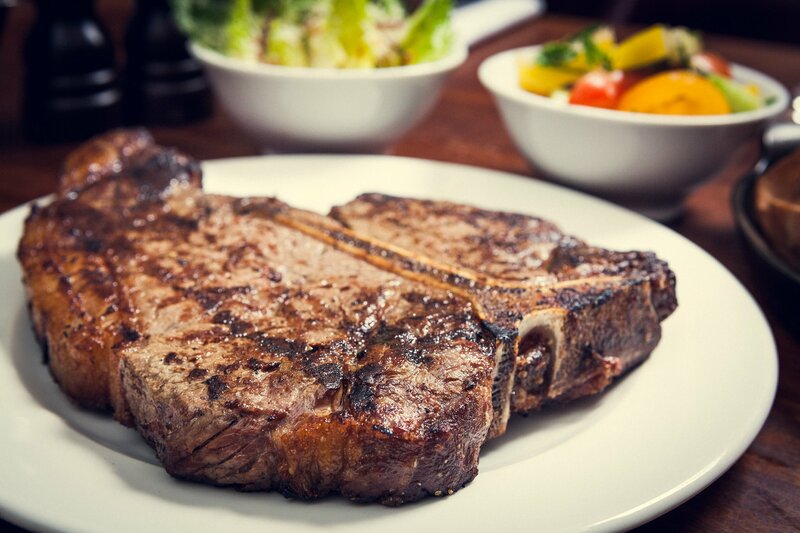 For the most epic steaks you’ve ever seen, tried or tasted served with a distinctly British style, Hawksmoor is the institution you must experience. This is THE steakhouse brand in London with locations right across the city so this recently-opened Borough branch is so very welcome. You’ll find elegant but punch-packing cocktails and slick, designer interiors that err on the side of luxury but comfort punctuates the menu: exceptionally seared steak served medium or less with buckets of flavour and sidelined with luxurious sides like dripping fries, cauliflower cheese, buttered greens or mash ‘n’ gravy. There’s also a special ‘Market Specials’ menu featuring the best Borough affords and an Express Menu offers you two and three courses for well under £30pp. 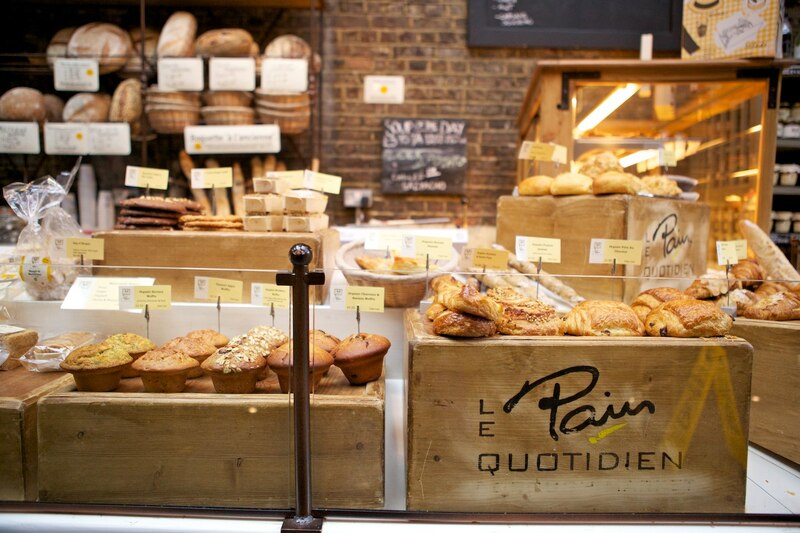 Direct from Belgium and tucked into one of the market’s corners is Le Pain Quotidien, an all-day restaurants specialising in light bites and pastries from early morning ’til late evening. 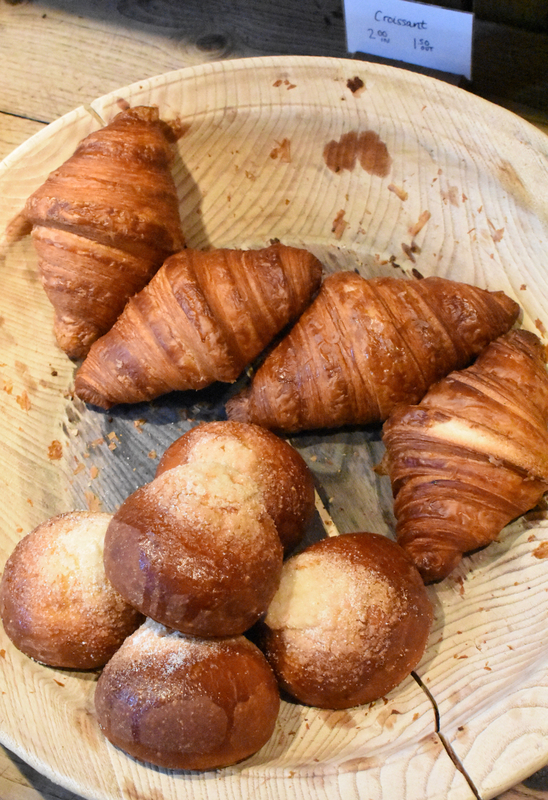 Set in a former stables and all exposed brick walls and glass roof, we recommend stopping by for Petit Déjeuner, a tartine lunch or a shared baker’s basket of fresh pastries and breads washed down with a tea or coffee served in their iconic ‘hand warmer’ bowls. 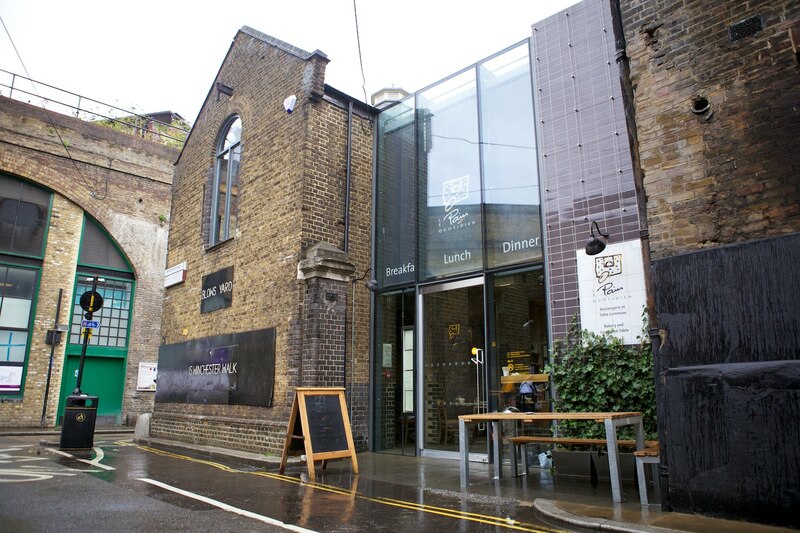 Not technically within the market area but perched right beside London Bridge is London Grind, an outpost of a popular and painfully cool coffee & cocktails group which is a modern amalgam of cafe, bar and restaurant. 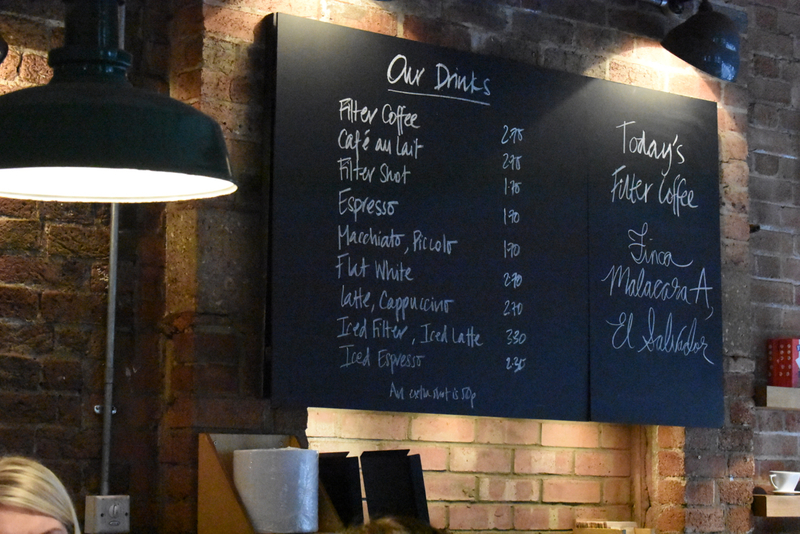 Always buzzing, step in for a warming coffee or a energy-piquing espresso martini whilst this is the first of the group to offer a full restaurant for brunch and dinner. 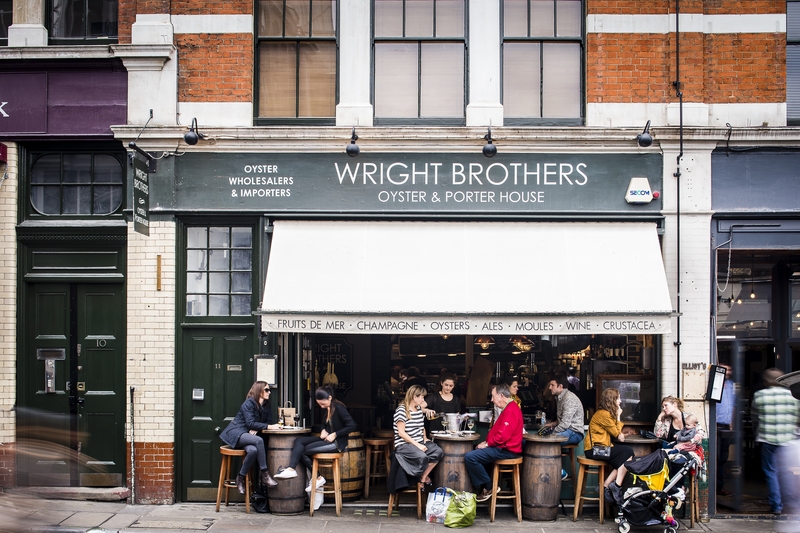 Oyster farmers and shellfish merchants The Wright Bros source the best from around the British Isles, Ireland and France and serve it simply and classically at their original restaurant here at Borough Market. Choose to eat inside at the long oyster bar or small tables or perch outside on a warm day atop the up cycled barrels. 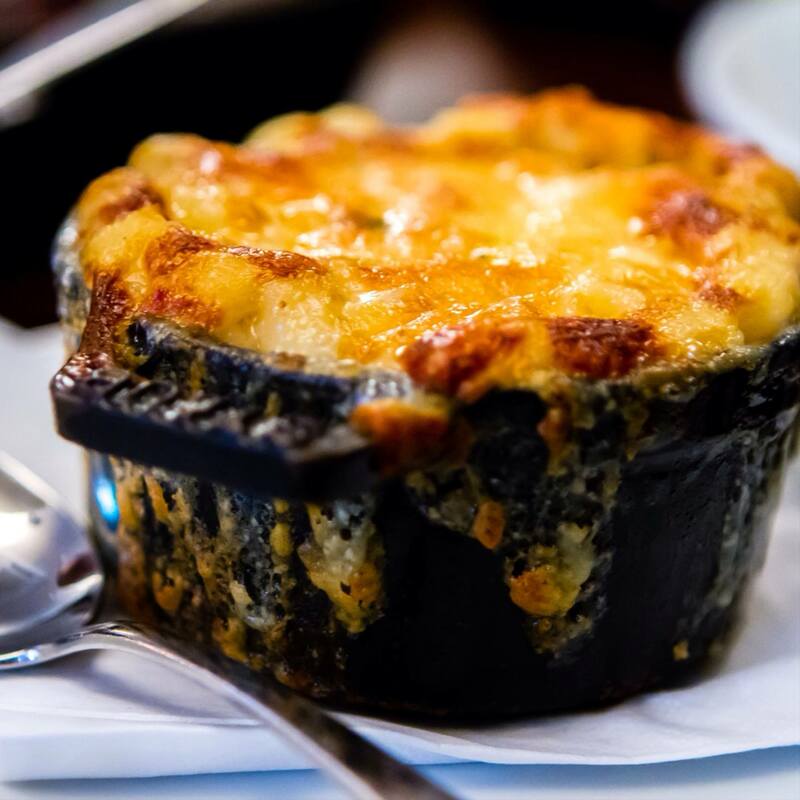 Not strictly limited to freshly-shucked oysters and lovingly treated shellfish like dressed crab, though it makes up most of the menu, there’s also hearty beef and Guinness pie, moules marinière, whole lemon sole and fish soup. 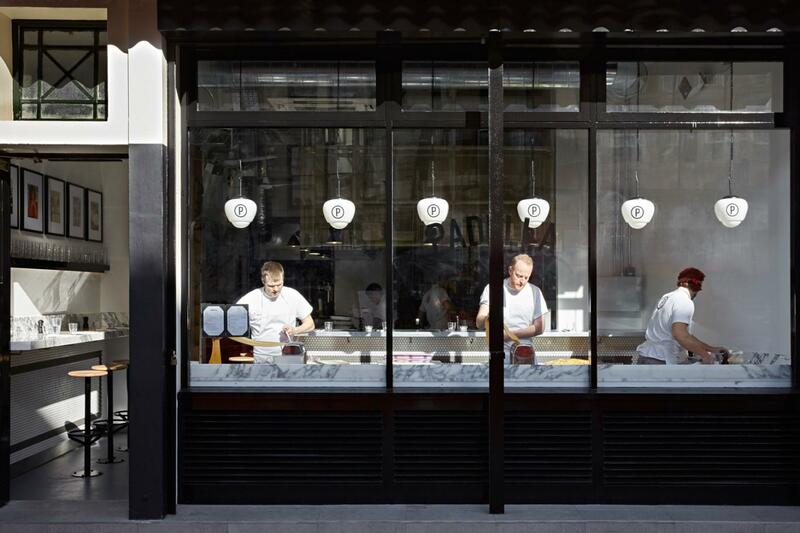 Borough is Elliot’s‘ playground, inspiration and larder as this simple and casual cafe and restaurant specialises in British seasonal fare. A wood-fired grill centres the menu whilst the wine list specialised in natural wines far before they became the sip du jour. You’ll tire of the words artisan, organic and biodynamic on their list cause you’re truly spoilt for choice with some of the best natural wines by bottle and glass available. Particularly perfect for perching on the stools outside and sharing a bottle of wine and a selection of bar snacks on a bright, dry day. Bliss! 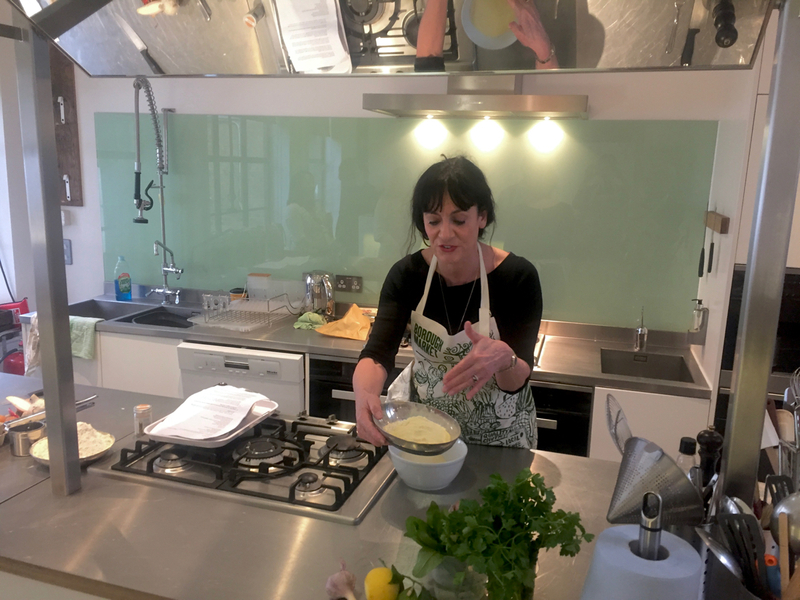 We’ve had the privilege of attending cookery classes in the small, perfectly formed Cookhouse which sits one floor above the market beside the side entrance on Borough High Street. 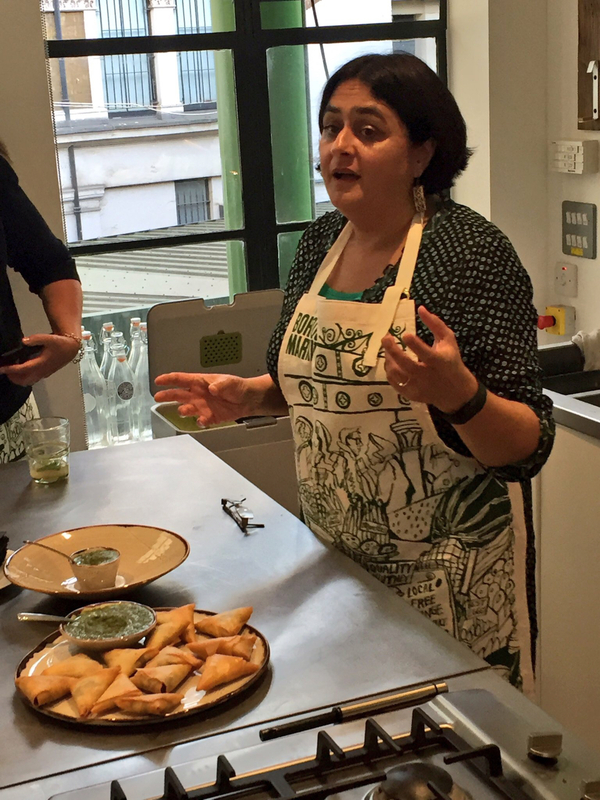 When we attended it was to publicise monthly chef residencies at the market and we were lucky enough to learn how to make samosas and chutneys with Roopa Gulati and pasta from scratch with Ursula Ferrigno. 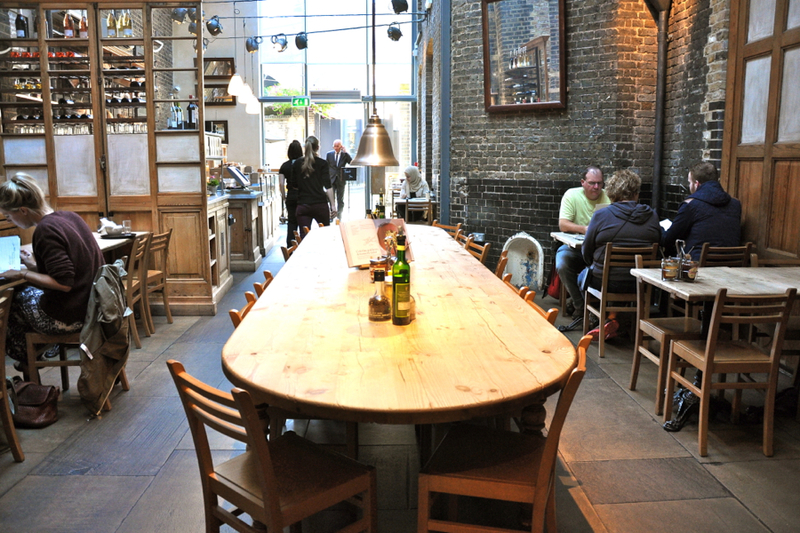 Though not open to the public, the Cookhouse is a ten-person capacity events space available for private hire. 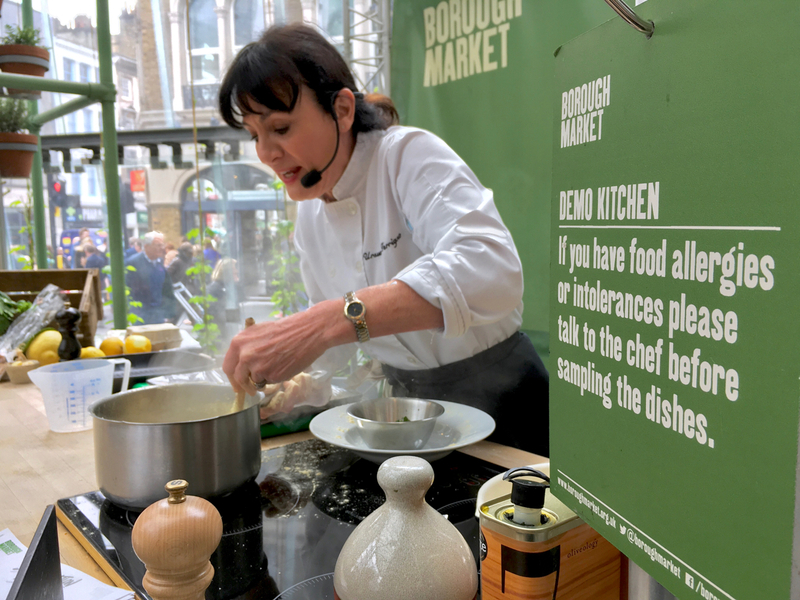 As if all the above wasn’t enough, Borough Kitchen is also the associated cookware shop right beside the market filled with lots of utensils and pieces of kit that would be dreamily appointed in any kitchen. We’ve spent endless hours (and about as much time saving) picking out pieces we want for our kitchen. 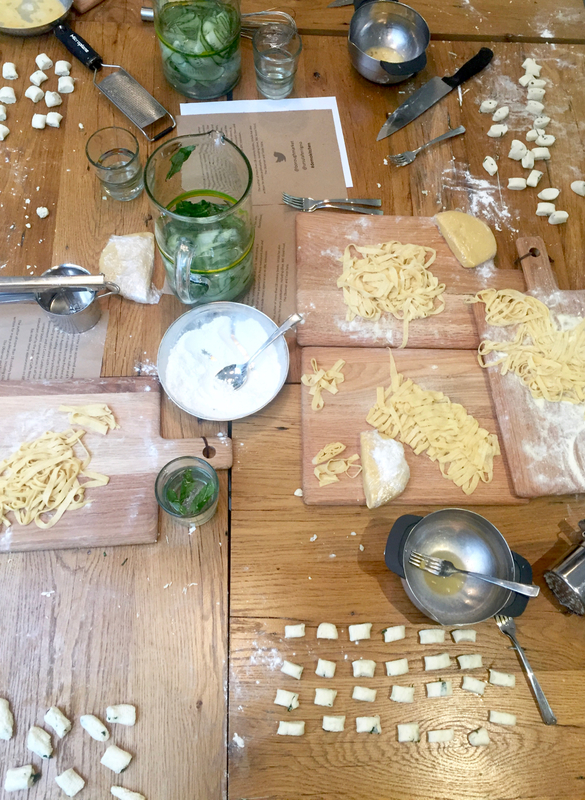 There’s a second, larger branch in Hampstead, north London which doubles duty as a cookery school and we were so lucky to be invited for a couple of events, including a course on knife skills which was invaluable! 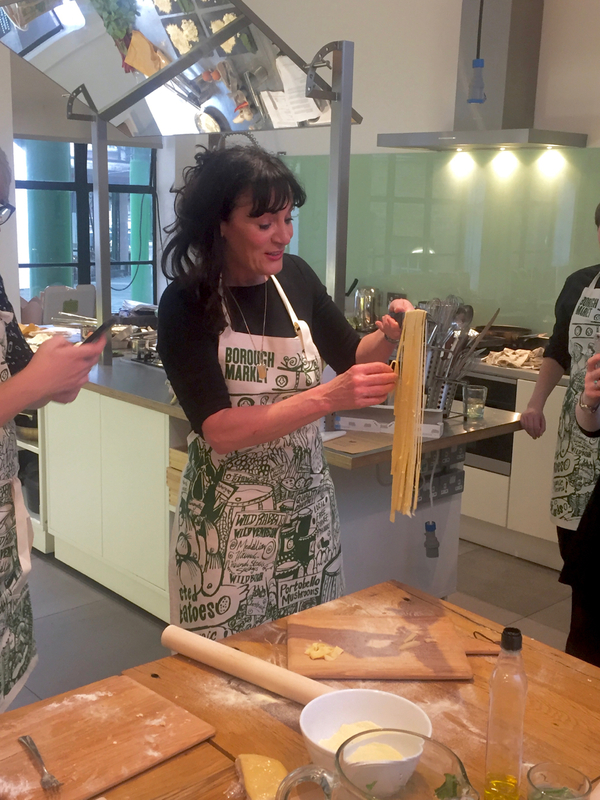 The spoils of the market are further celebrated by the chefs, food writers, campaigners and teachers who help make the Market’s cookery demonstrations, publications, public debates and educational programmes so highly regarded. 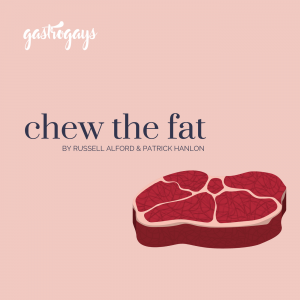 A talk on her life in food by one of our idols Claudia Roden! 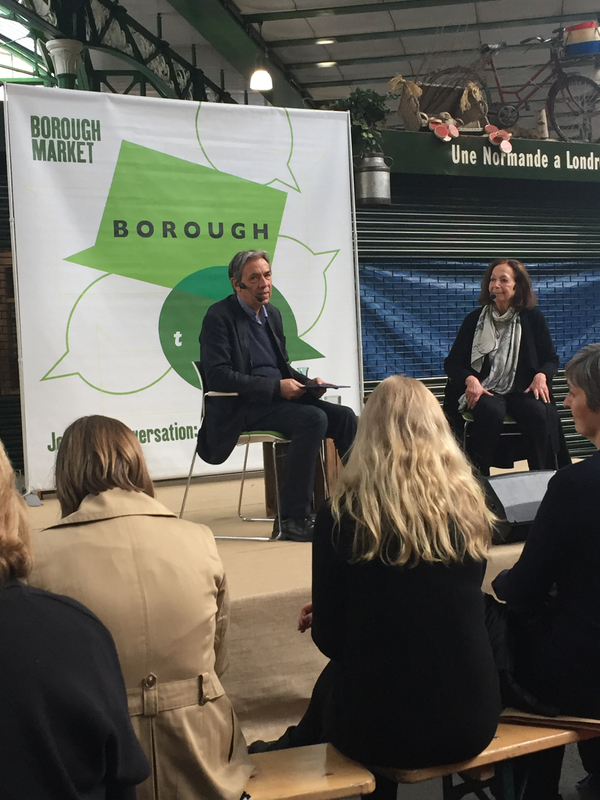 With such a diverse roster of live events it would take us hours to write about everything, best keep an eye on Borough Market’s Events page for what’s happening – you’ll always find something interesting to attend. 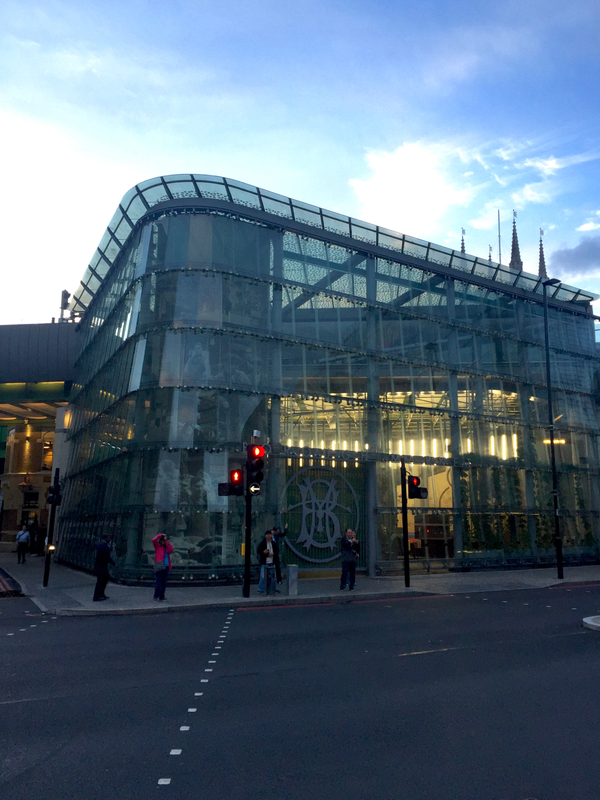 It’s worth noting actually – which was unknown but important info to us – that Borough is also extremely environmentally-conscious, with none of the market waste going to landfill. All cardboard, paper, plastic, glass or wood is recycled and surplus produce from many of the stalls ends up being distributed to local charities, rather than discarded. All remaining food waste, around 8,640 litres per week, is sent to an anaerobic digestion plant which produces fertiliser, natural power and water. 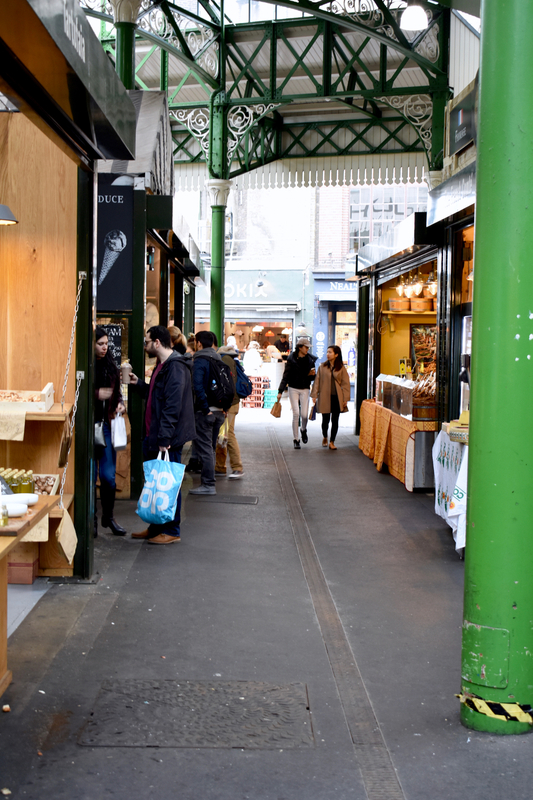 The backbone of the London food scene is food markets dotted across the city. 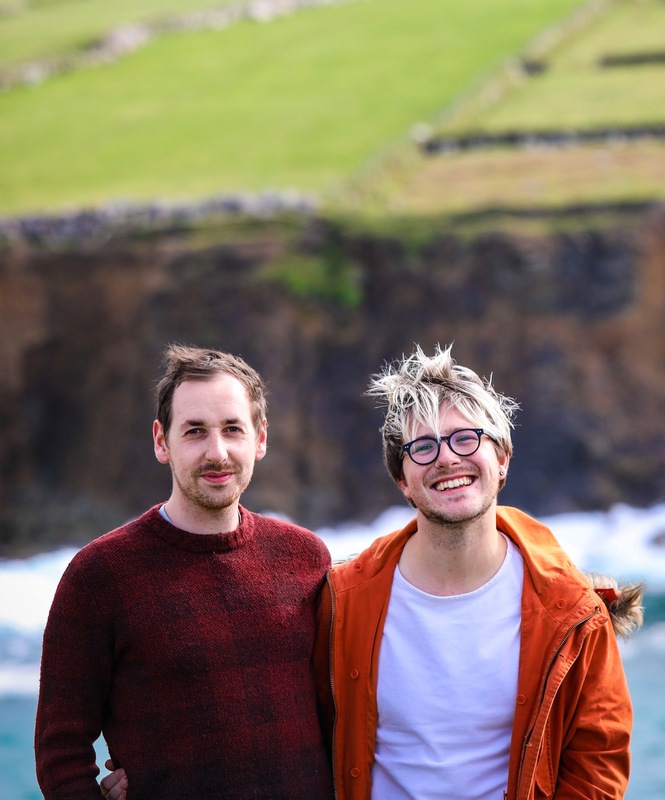 They’re the testing ground for new restaurants and innovative ideas; they’re a foundation for people creating the products they’ve always wanted to; they’re the social hub of so many food loving people and communities. 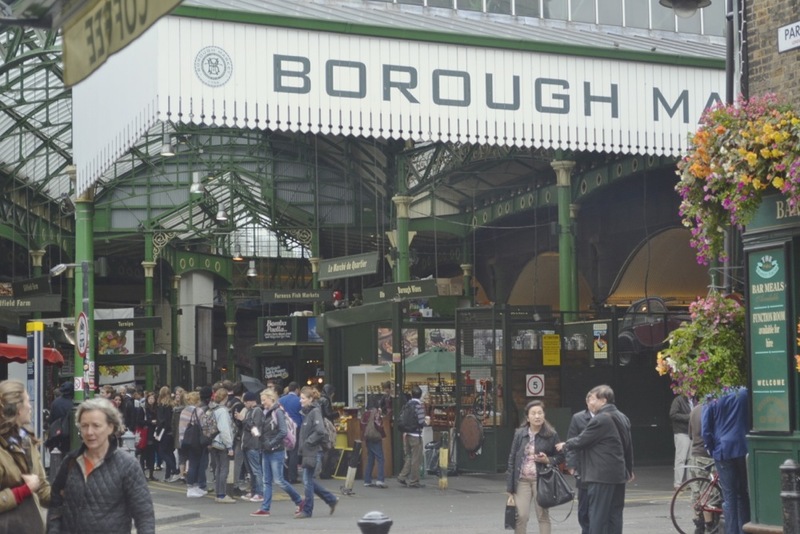 Borough Market is, and always will be, the jewel in London’s crown for us.